We recently mentioned that PQube, the publisher that has been kicking around for ten years now, was creating its very own game. At the time we only had the one screenshot, but now we've got more details, and whoo does this game look like it could be something special. 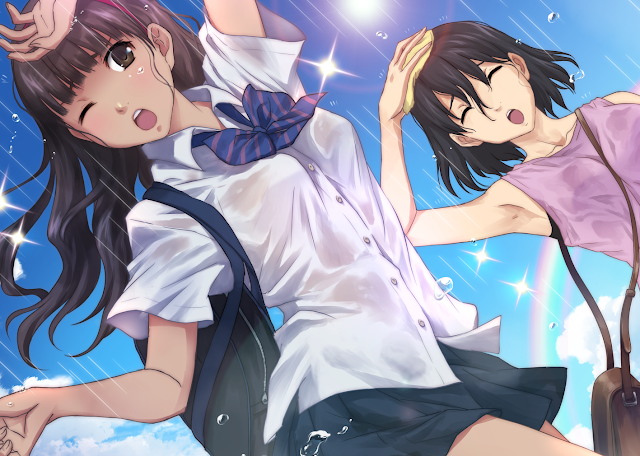 The game is called Kotodama: The 7 Mysteries of Fujisawa, and it is a visual novel that is being brought to PlayStation 4, Nintendo Switch and PC (via Steam). It promises to "turn the classic high school story on its head, with a brand new universe where nothing is as it seems", and given that the premise involves the protagonist making a pact with a demon fox, I've got no doubt that this won't be your standard high school story. Mon-chan, the aforementioned demon fox, gives you the ability to force the truth out of people who have lied to you, and your task will be to uncover a sinister underbelly to the school that you're attending. PQube has released a first trailer for the game, and while we still need to find out so much about this one, the art is so stunning that we're instantly sold on it. We'll be keeping a very close eye on this one in the months ahead.